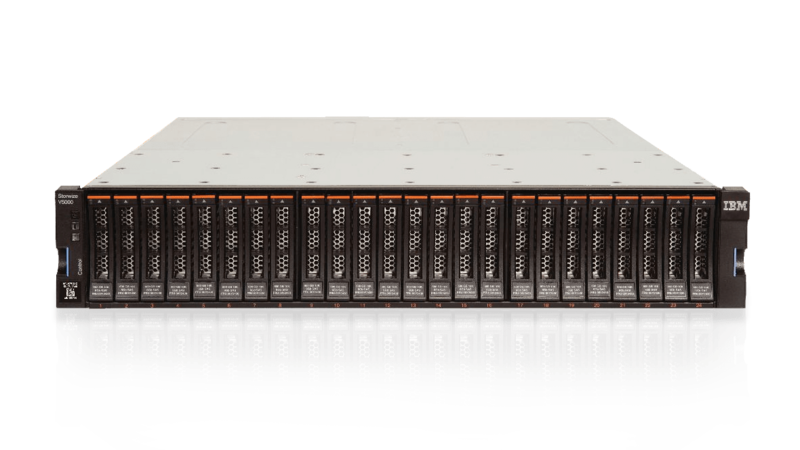 IBM® Storwize® V5010E and IBM Storwize V5030E are entry-level solutions designed to provide enterprise-grade functionalities without compromising affordability or performance. Built with IBM Spectrum Virtualize software, they can help you lower capital and operational storage costs with a wide range of data services. Storwize V5000E helps make modern technologies such as artificial intelligence accessible to enterprises of all sizes. Easy to move data when you need it from your existing storage to your new Storwize V5000E. Enterprise-class function, including cloud-based management and support. Store more data in less space with the latest generation storage media and data reduction technologies. Leverage AI to simplify management of your storage infrastructure and use AI-powered technologies to accelerate applications and maximize cost. Grow your private cloud with the flexibility to start small and scale up as business demands or client adoption grows. Benefit from integration with modern data protection tools, cyber resiliency capability such as encryption and cloud "air gap" snapshots, and IBM FlashWatch guarantees for complete peace of mind.